1. People follow the leader first and the leader's vision second - It doesn't matter if the leader shares a powerful vision, if the leader is not someone who people will follow the vision will never be realized. As a leader, who you are makes a difference. The most important message you can share is yourself. 2. Trust is the force that connects people to the leader and his/her vision - Without trust there is a huge gap between the leader and the vision. Without trust people will stay off the bus. However if people trust the leader they will hop on the bus with the leader and help move the bus forward towards the vision. 3. Leadership is not just about what you do but what you can inspire, encourage and empower others to do. 4. A leader brings out the best within others by sharing the best within themselves. 5. Just because you're driving the bus doesn't mean you have the right to run people over - Abraham Lincoln said "Most anyone can stand adversity, but to test a man's character give him power." The more power you are granted the more it is your responsibility to serve, develop and empower others. When you help them grow they'll help you grow. 6. “Rules without Relationship Leads to Rebellion” - Andy Stanley said this and it's one of my favorite quotes. As a leader you can have all the rules you want but if you don’t invest in your people and develop a relationship with them they will rebel. This applies amazingly to children as well. It's all about relationships. 7. Lead with optimism, enthusiasm and positive energy, guard against pessimism and weed out negativity. 8. Great Leaders know they don't have all the answers - Rather they build a team of people who either know the answers or will find them. 10. 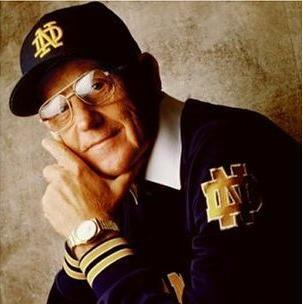 Great leaders know that success is a process not a destination - One of my heroes John Wooden, the legendary UCLA basketball coach, never focused on winning. 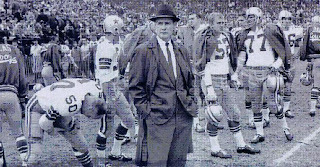 He knew that winning was the by product of great leadership, teamwork, focus, commitment and execution of the fundamentals. As a leader focus on your people and process, not the outcome. 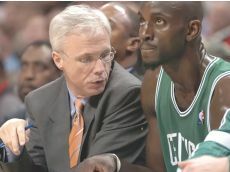 COACH KEVIN EASTMAN ON THE "GARNETT FACTOR"
We are very fortunate to have a Kevin Garnett to coach, and his teammates are fortunate to have a Kevin Garnett to lead. You may have your own Kevin Garnett or someone on your team that can develop into a Kevin Garnett -- not just from a talent standpoint but also from a leadership standpoint. Here are some of the things I have observed Kevin doing, saying, or demonstrating that allow him to lead at a higher level than most. • He always looks for teaching opportunities to help young players become “true professionals,” from the way they dress to the way they prepare for the game and for practice, to the way they interact with teammates. • He lives the “team concept” every day in every way. In fact, last year Kevin wouldn’t do interviews without Paul Pierce or Ray Allen with him because he didn’t want the team to be “his” team; he always wanted it to be “our” team. • He demands that the coaching staff coach him, call him out, correct him -- so that he can become a better player. He understands that coaching is not criticism, but a very important part of his improvement. • He works on his game just about every day of our 287-day season. Understands that repetition is the key to being good. • He is competitive and committed: he plays just as hard whether we are ahead or behind and whether he had 3 shots or 30 points. • He shows everyone that the great ones just want to get better; always wants to know anything that will make him a better player. 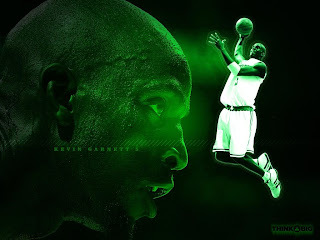 • And the ultimate sacrifice in today's me-oriented world Kevin says, “from Day 1 we said this is Paul’s team.” Everyone else wanted to make it Kevin’s team but he knew Paul deserved it because Paul had been with the Celtics during tough times. The list could go on and on, but the point is that true leadership is not about oneself. 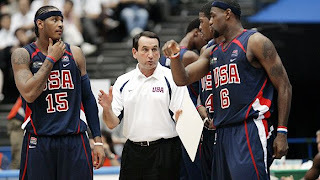 It is the ability to get not only the most from your own ability but true leadership also means getting the most out of every teammate’s ability as well. Kevin does this by example, by teaching, by his public comments and by his unending commitment to team over self. 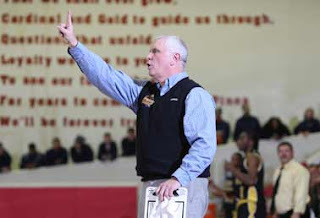 Bob Hurley Sr. is about to hit a milestone few basketball coaches on any level have reached: 1,000 victories. He has won them the hard way at St. Anthony High in Jersey City, New Jersey, sweeping the hardwood floor before home games and riding yellow buses to cramped gymnasiums up and down the East Coast. 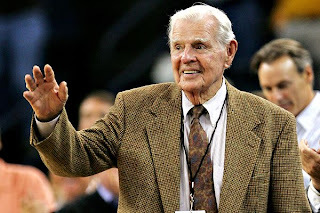 The victories helped make him just the third boys high school coach to earn enshrinement in the Naismith Basketball Hall of Fame in Springfield, Massachusetts. 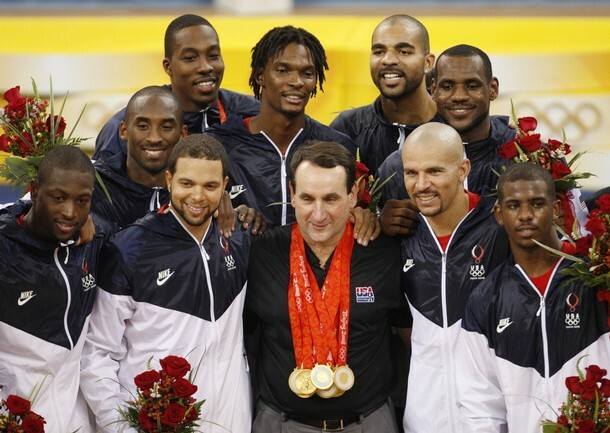 They earned him the respect of some of the highest-profile coaches in the sport, including Mike Krzyzewski at Duke. But his true legacy is much deeper than the lights on the scoreboard. Hurley said he would trade in those wins -- every last one of them -- for a chance to help more inner-city kids. "You know what? I would give them up for one more chance with some of the kids I didn't reach over the years," Hurley said. "If I could have a second chance with some of those, it would be worth all the adulation." Terry Dehere, who went on to play at Seton Hall and in the NBA, could have moved on from his roots. Instead, he moved back to Jersey City, twice renovating his boyhood playground, restoring an abandoned building for low-income housing and hands out 500 turkeys annually each Thanksgiving. "(Hurley) had a direct effect on a lot of young men's lives growing up in Jersey City," Dehere said. "To have a coach who was dedicated and a taskmaster helped a lot of kids -- and I'm a living testament to it." Dehere played for Hurley in the late '80s. Two decades later, Mike Rosario was the star of the team, a hot-tempered kid who used basketball as a refuge from the life in a housing project. "He started disciplining me like I was one of his sons," Rosario said. "It was to the point where I was like, 'Wow, I had never been pushed like this in my life.' I learned how to be a man and not a boy." Rosario now plays college ball at the University of Florida. 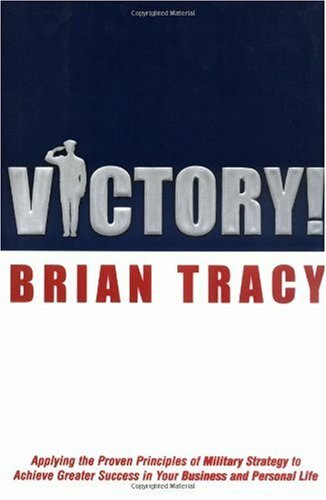 I'm taking a little break from practice and re-reading "Victory" by Brian Tracy. It's one of my favorites. Tracy gives proven principles used by the military that can help you become a better coach (among other things). There are three keys to motivation that you can practice with all the people who report to you. They are Recognition, Rewards, and Reinforcement. Practice all three of them with as many people as possible, as often as you can. 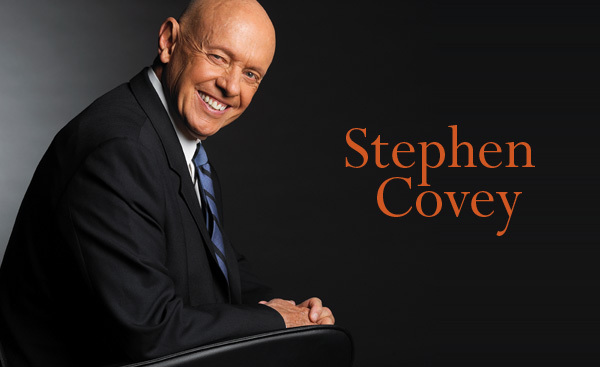 Most people are starved for recognition, especially recognition that comes from the important people in their lives, In fact, the more important you are in the eyes of another person, the more powerful and influential are your statements to that person. Praise and recognize people for little accomplishments as well as large accomplishments. Find reasons to compliment them for their work or their achievements. Smile when you see them, and treat them with respect and esteem. Recognition is a powerful motivator for people at all ages and in all situations. Rewards are a vital part of motivating people to peak performance. "What gets reinforced gets repeated." Whenever you talk about, praise, and comment on a particular behavior, the individual will be more likely to repeat that behavior in the future. The flip side of motivation is that if you do not recognize, reward and reinforce a particular behavior, the individual may simply stop doing it. Competition has two purposes in the context of team formation. First, it gives you a platform for improvement. You can’t reach your full potential without competition. Second, competition serves as a test for your team. 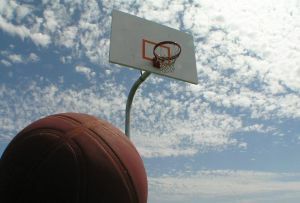 The moments provided by game time are moments of truth. A GREAT FOUR LETTER WORD! The following was passed on to us by Brian Tracy. 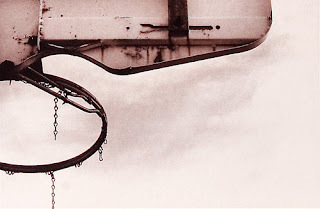 It's an outstanding article about a great four letter word: N - E - X - T. All great shooters go on to the next shot, whether the miss or make the previous one. A great hitter is great in part because he can put the last at bat out of his mind. As a team, it's important to play the game one possession at a time and to do that, you have to forget about the previous possession and concentrate on the present. As coaches, and this one was hard for me when I first started, you have to move past the last game. I didn't have a problem with a victory but I would let a loss or poor performance linger to long in my approach with our team. Sue Gunter would also stress that the most important game on your schedule is the next one because it is the only one you can do anything about. 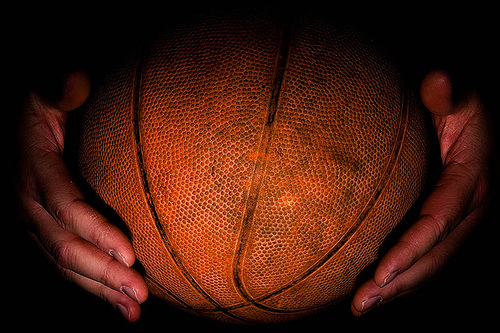 The same is true with a shot, a possession, any phase of the game -- or life for that matter. The more you use it, the more successful you'll become. So I don't keep you in suspense too long, the word is "next." If you're in business for any length of time, you will experience three very distinct environments in which the most valuable thought you can have is "next." Environment #1: When you fail. I imagine you know what it feels like to fail. I sure do, having been bankrupt more than once and sued multiple times. I was personally indicted by the United States Attorney General on 58 felony counts totaling more than 600 years in prison if I had been convicted. I was found not guilty on all counts, by the way, and the government later apologized. When I have faced catastrophes of the financial, legal, or personal variety, I've come to realize that the faster I could get to "next," the sooner I recovered. It all has to do with your subconscious mind. I'm absolutely convinced that your brain works on a deep and literal level, whether you realize it or not. It will amplify what your conscious mind is chewing on. If you continually think: "How could I have been such an idiot!" then your obedient subconscious will look for answers as to why you are such an idiot. If you think: "Someday I want to be rich," your brain will explore how you can become rich someday—but off in the distant future, not now. You specified "someday," after all. On the other hand, if your thought instead is: "What can I do next to fix this?" then its mandate is to find a solution. I suggest that you not deny any realities of your failures, but that you mourn quickly. Wring your hands, punch the wall and move on, with plenty of "next" thoughts as soon as possible. Environment #2: When you succeed. The second distinct environment in which the concept of "next" is your friend is when you're extremely successful. In my case, I had become a self-made billionaire, and the 25th richest person in America by some accounts. I had exclusive contracts with 21 of the top 25 banks in America for my services. As CEO of my company, I found that my "highest and best use" was to think day and night about "next". Environment #3: When your customers want more. I don't know the business you're in, but I can tell you something about your customers. They pretty much follow the "80-20 Rule": 80 percent of them have a passing interest in what you have to offer. They may be your customers, but are steal-able by another competitor which comes along, if you're not careful. On the other hand, 20 percent—or maybe even just 2 percent—of your customers have an insatiable appetite for what you have to offer: They buy your premium offering. They become great testimonials for your goods and services. Some of them might even leave their credit cards on file for any new stuff you offer. These customers are not only insatiable, but they're highly profitable. They take no arm-twisting to buy and spread the good word about you. I know a guy who makes really high-quality luggage that costs about 50 percent more than other high-quality luggage. He told me once that some of his customers are from various royal families in the Middle East. With some of those folks, not only is price not an object, but high prices can sometimes be a badge of honor. Yet my buddy had no ultra-high-priced option, made out of pure silk or perhaps carbon fiber. Just as you can buy a Kobe beef hamburger in Manhattan for $175 (pickle included), you should be able to buy a $10,000 suitcase. Not only will someone buy it, but you'll get free publicity. Ray Kroc, the chairman of McDonalds, knew the concept of "next" when he said about his competitors: "We invent faster than they can copy." Unleash the smartest friend you have—your subconscious mind—by focusing it on what you want to find around the next corner. Thanks to Weber State coach Phil Beckner for passing this article on to me about San Antonio's Gregg Popovich and his philsophy that has kept the Spurs consistently among the best in the NBA. The article was written by Marc Spears of Yahoo.com Sports. Anyone who knows Gregg Popovich knows there are probably 347 other places he’d rather be than walking the red carpet at the All-Star Game next month in Los Angeles as coach of the Western Conference team. He doesn’t do extravagant parties, and the over-the-top showmanship of the NBA’s annual entertainment weekend likely doesn’t appeal to him. More than anything, he’d rather just not have the attention. Popovich has always preached a we-over-me mantra with the San Antonio Spurs, and that comes from his days at the Air Force Academy, where he was a walk-on for the basketball team. “I’m just guessing, but everybody that goes there has a 3.8 or 4.0 [grade-point average] – valedictorians – and did all kinds of stuff,” Popovich said. “And you go there and everybody is the same. They strip you bare. You start over again, and during the four years you learn it’s not about you. It’s about the group. It’s about the people that are around you and how people come together and how teams are put together and how you have each other’s back and that sort of thing. 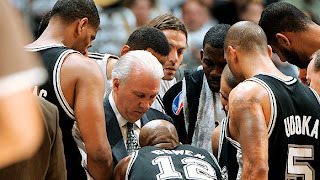 In short, these Spurs may be as team-oriented as any roster Popovich has ever had. All of the Spurs’ three stars – Duncan, Ginobili and Tony Parker(notes) – are also averaging fewer than 33 minutes. With nearly everyone on the roster contributing in some form this season, the Spurs have continued to win in their usual understated style. That’s all Popovich has ever asked. Beginning with David Robinson, the Spurs have had a long line of players who have bought into their team-first mentality, including their three current stars. Players who come into the system learn to adapt – or leave. This comes from Coach Creighton Burn's most recent newsletter. And while it obviously is directed towards the influence of a parent on a child, it can also be translated into coaches and their players. I honestly believe that players watch every move we make to read into what we think and believe. One step further, I think it can also be converted for the seniors in your program and how the other players, especially freshman monitor their actions. When you thought I wasn't looking, saw you make my favorite cake for me and I learned that the little things can be the special things in life. When you thought I wasn't looking, I heard you say a prayer, and I knew there is a God I could always talk to and I learned to trustin God. When you thought I wasn't looking,I saw you give of your time and money to help people who had nothing and I learned that those who have something should give to those who don't. Please always remember children seem to learn best what they see you doing, not from what you are saying. 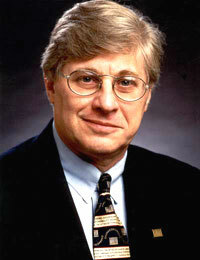 In his book "The Wisdom of Your Subconscious Mind", John K. Williams says there are four powers of the subconscious mind that we must all remember. • First, you are the architect of your destiny. • Second, you have creative power in your life because you can visualize what you want to achieve. • Third, you are a radiating power able to attract to yourself everything you want. • Fourth, you are “the building and directing power of your life.” Whether you fail or succeed is up to you and you alone. People on the team need to know why they’re fighting. It is not enough to designate players to roles on your team. They must know what that role needs to accomplish to be successful and how they go about executing that role. But even more important is how that role leads to a successful team. It is also paramount that a coach takes the time to praise those in their roles when they do execute. A prime example for our team is our motion offense. Certainly as the end of a successful possession is a player that gets (and hopefully makes) a great shot. 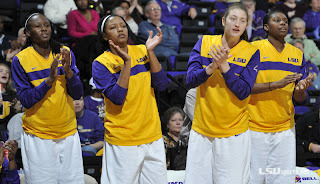 But in our motion offense, we refer to those as "team shots." There was more than likely a good screen set to free the shooter. The feeder had to deliver the pass at the right time for the shooter to be effective. Often, we have to other players involved away from the action cutting and screen and this is critical to occupy the help defense. All five players were involved in us getting the shot. We make sure we diligently go over this at practice and especially in video sessions. We want a player to know that even though she didn't tough the ball, her ability to cut or screen or maintain good spacing was critically important. As Maxwell stated above, "People on the team need to know why (and how) they are fighting." 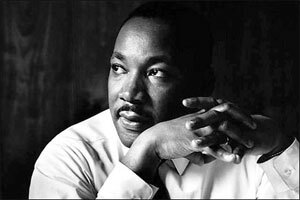 A moving part of Dr. Martin Luther King, Jr.s "The Drum Major Instinct" speech that talks about servanthood. It is something that Coach Don Meyer speaks of often at his clinics and academies. 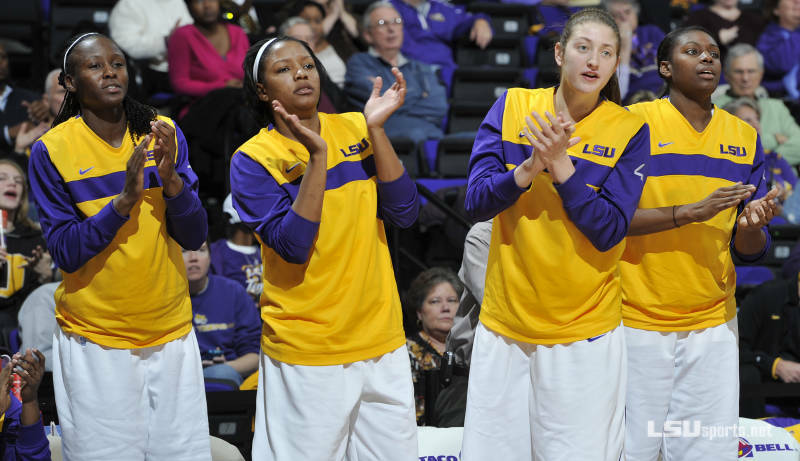 it is something that was spoken to our team and staff at LSU by Coach Dale Brown who taught me that basketball and coaching is simply a means to do a greater good for as many as we can reach. "If you want to be important, wonderful. If you want to be great, Wonderful! But recognize that he who is greatest among you is your servant. That’s the new definition of greatness. 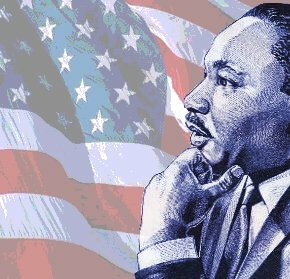 This morning, what I like about it is that by giving it the definition of greatness it means everybody can be great because everyone can serve. "You don’t have to have a college degree to serve. You don’t have to know about Einstein’s Theory of Relativity to serve. You don’t have to the know the Second Theory of Thermodynamics in Physics to serve! A soul generated by love. You can be that servant." The following comes from my friend and Tennessee assistant coach Dean Lockwood. He speaks of the importance of passion as a key contributor to competitors in Jeff Janssen's outstanding book, "How To Develop Relentless Competitors." 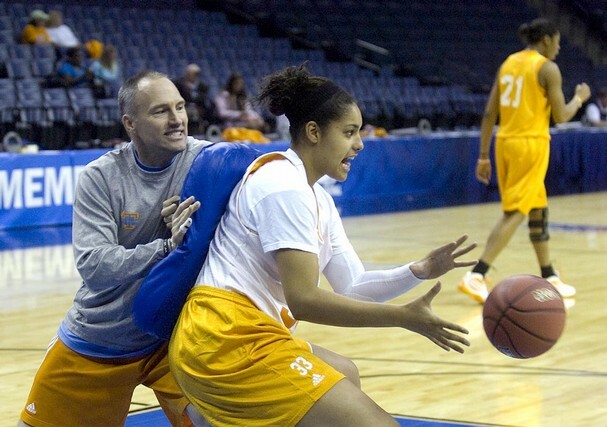 Tennessee assistant women's basketball coach Dean Lockwood says, "Having been a part of college basketball national championship teams and those that were not, both with comparable talent, I can tell you first that one of the missing components from the latter was PASSION! Passion drives us to go work, to excel, to become almost obsessive about details and the 'little things' that can help our performance. Passion for something will allow an athlete to stay in a gym a bit longer working, shooting, honing skills; it will allow an athlete to squeeze out a few extra reps, sprints, or laps when most others have gone home. Passion can DRIVE us and PROPEL us further than what we know, and it also brings a joy to competition that is almost magical and can be found in few other ways." Your attitude cannot substitute for competence. Your attitude cannot substitute for experience. The problem with experience is that you rarely have it until after you need it. Experience is often a hard teacher because the test is given first and the lessons come afterward. That’s probably why the old quote says, “When a person with experience meets a person with money, the person with experience will get the money, and the person with the money will get the experience!” back when I thought that attitude was everything, I tried to hire people with the best attitudes and figured I could get them up to speed in their skills. Now that I am older and more experienced, I realize that I had things backward. Now I hire primarily for skill and experience. Here’s why: When it comes to talent and skill, a person can grow only a limited amount. The old saying of coaches is true: You can’t get out what God didn’t put in. attitude, however, is a different matter. There is no growth ceiling. On the day that I decided as a leader to hire only people with successful track records to key positions in my organization, my professional life changed. The entire team became more productive, and my organization began going to another level. That’s not to say that I began hiring people with bad attitudes; I didn’t. Your attitude cannot change the facts. Your attitude cannot substitute for personal growth. Musician Bruce Springsteen says, “A time comes when you need to stop waiting for the man you want to become and start being the man you want to be.” Growth. Nothing can substitute for continual learning. You need to feed your mind and soul to become the person you desire to be. Your attitude will not stay good automatically. It’s pretty easy to say to yourself, From now on, I’m going to have a great attitude. It’s much harder to actually follow through with it. That’s why I believe one of the best things you can do for yourself is make the daily management of your attitude one of your objectives. You cannot expect attitude to fix everything. Attitude is what it is: the difference maker. More great stuff from Brian Tracy that will not only make us better coaches, but better people. 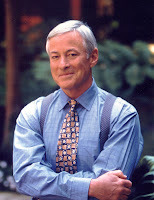 Be sure to check out his website: www.BrianTracy.com. To become a motivational leader, you start with motivating yourself. You motivate yourself with a big vision, and as you move progressively toward its realization, you motivate and enthuse others to work with you to fulfill that vision. You exhibit absolute honesty and integrity with everyone in everything you do. You are the kind of person others admire and respect and want to be like. You set a standard that others aspire to. You live in truth with yourself and others so that they feel confident giving you their support and their commitment. You demonstrate courage in everything you do by facing doubts and uncertainties and moving forward regardless. You put up a good front even when you feel anxious about the outcome. You don't burden others with your fears and misgivings. You keep them to yourself. You constantly push yourself out of your comfort zone and in the direction of your goals. And no matter how bleak the situation might appear, you keep on keeping on with a smile. You are intensely realistic. You refuse to engage in mental games or self-delusion. You encourage others to be realistic and objective about their situations as well. You encourage them to realize and appreciate that there is a price to pay for everything they want. They have weaknesses that they will have to overcome, and they have standards that they will have to meet, if they want to survive and thrive in a competitive market. You accept complete responsibility for results. You refuse to make excuses or blame others or hold grudges against people who you feel may have wronged you. You say, "If it's to be, it's up to me." You repeat over and over the words, "I am responsible. I am responsible. I am responsible." Finally, you take action. You know that all mental preparation and character building is merely a prelude to action. It's not what you say but what you do that counts. 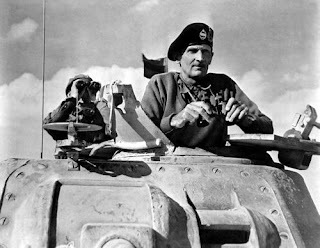 The mark of the true leader is that he or she leads the action. He or she is willing to go first. He or she sets the example and acts as the role model. He or she does what he or she expects others to do. First, see yourself as an outstanding person, parent, coworker and leader in everything you do. Pattern your behavior after the very best people you know. Set high standards and refuse to compromise them. Second, be clear about your goals and priorities and then take action continually forward. Develop a sense of urgency. Keep moving forward and you'll automatically keep yourself and others motivated. • Don’t be afraid to let your players know how much you care about them. • Your number one goal is to help your players get what they want in life and in athletics. • Create a family atmosphere with care and trust. "When you do the things you need to do when you need to do them, the day will come when you can do the things you want to do when you want to do them." Most choices that help create success are never recognized by others. They are personal choices people made that mold their character. These character choices are internal choices known only to the person making them. Those choices include accepting responsibility, commitment, values, and integrity. Those are personal choices that we make deep within ourselves and that eventually mold our life. There are action choices that will lead you toward success. These choices help you move beyond simply talking the talk and toward getting things done. These choices are the catalyst for moving forward; they lubricate the process of getting things done. They include the choices of sticking to the objective long enough to win, being enthusiastic about work and live, and attacking and conquering difficult issues. Then, there are investment choices. I’m not referring to the stock market or a get-rich-quick scheme. The important investment choices are about investing in people who will make your life better. You cannot be successful in the long term without investing in relationships, accepting constructive criticism, seeking the truth, and giving back to others. Making good choices is a never-ending challenge. It requires hard work and daily diligence. Making choices is a privilege, one that gives us a freedom we should never take for granted. Over the past decade I have watched many coaches in action and have detected a distinct difference between two dominant leadership styles. There are many ways to describe the leadership habits of coaches, but it appears to me that as leaders most fall into two categories—either drivers or builders. Drivers tend to be what leadership experts refer to as transactional leaders while builders fall pretty naturally into the category of transformational leaders. Drivers and builders have two very different leadership mind-sets and skill sets. Drivers are generally after impressive achievements, especially the attainment of fame, status, popularity, or power. Not that there is anything wrong with that, as Jerry Seinfeld would say. But builders know that when success just means wealth, fame, status, and power it doesn‘t last and usually isn‘t satisfying. Builders commit to their calling and believe that people really do matter. For them, significance is found in contributing to the lives of their players. Coaching is a major factor in any athlete‘s success. Most players recognize this. They‘ve been coached since they were tots playing in youth leagues. And for the most part they‘ve believed in and trusted their coaches. However, many adults reveal years later that they learned little from coaches they encountered in their student-athletic experience. Generally, the coaches that fail to impact student-athletes are transactional leaders.  Put results first. Relationships are subordinate to results, a means to an end.  Make the decisions. Drivers like being decisive and in control. Drivers set the agenda.  Possess a controlling spirit. They feel if they can control people, they’ll maintain absolute authority.  Resort to more regulations. Drivers use rule and regulations to enforce compliance. Drivers want things done their way.  Crack the whip. Drivers keep pressure on. Come down hard when goals aren’t attained.  Take a short-term focus. Drivers tend to focus on the day’s or week’s results.  Focus on “what” have you done for me lately? Enough said.  Get “in your face.” Drivers thrive on confrontation. “My way or the highway”.  Are more critical than positive. Drivers find it difficult to accentuate the positive.  Power trip. Fear giving away power. Empowering student-athletes to become team leaders is not a priority.  Span of vision. Concern is for results today regardless of costs tomorrow.  Put people first. Relationships are priorities to producing results.  Stress team capabilities. Builders want to build systems and talent.  Get others involved. Builders seek input from other coaches and value input from players.  Let solutions emerge. Builders don’t try to tackle every problem knowing that some problems solve themselves.  Take a long-term focus. Builders assemble players, programs, and processes.  Are mission driven. It’s the mission that sets the priorities.  Are servant leaders. What’s my contribution? 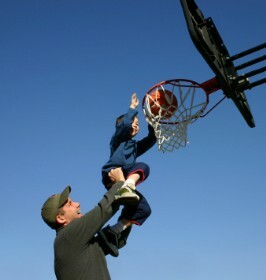 Builders possess a mental model stimulated by a “What can I contribute to the lives of my players” approach to leading.  Embrace empowerment. Builders work to prepare others for leadership roles.  Support identity of team. No two teams will ever be the same. Builders see value in the diversity of personalities.  Vision is the main course, not an appetizer. Builders weigh the costs of today’s decisions on tomorrow growth and development. "I get a ton of help from our coaches," Brady said during his weekly appearance on Boston sports radio station WEEI. "Of course we do. I think we have the best coach in the history of football. We have a great offensive staff, a great defensive staff that get all the players prepared. "Coach talks about being a tough, physical football team that plays well under pressure. Part of us being smart and prepared is our coaches doing their homework. We use whatever we can to get ready to play. The guys that are on this team certainly buy into what our coaches teach us. Coach comes in every Wednesday morning -- it'll be Tuesday morning this week -- and says: 'These are the things we need to do to win' and he's right damn near 100 percent of the time." Brady also reflected on his relationship with Belichick after seeing the Broadway show "Lombardi" on Saturday night. He sees a lot of similarities between his coach and legendary Packers coach Vince Lombardi. 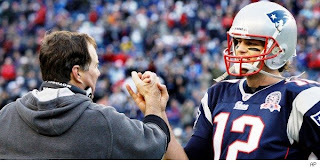 "I think there's a lot of history that Coach Belichick talks about with us ... to see the different way that the players really interacted with their coach and then reflecting on my relationship with [Belichick], there's a lot of similarities between the coaches," Brady said on WEEI. "They demand the best from their players. They don't give a damn who you are or what you've done. They care about what you're going to do this week. "I think that's why Coach Belichick has been so successful. He never takes his foot off the gas pedal. There's no sugarcoating anything. It's 'This is what we need to do and this is how you're going to do it, and if we don't do it we're going to lose,' and that's how he coaches us." "We're all at the point this year where we're motivated by much more than what someone may say about us," Brady said. "We're motivated by the fact that we have a great opportunity to be playing a division rival at home in the most important game of the year. That's plenty of motivation for us. "We're going to let our play do the talking as we always do. There's going to be a lot of hype and buildup and people saying things. The reality is none of it matters. What matters is that whistle is going to blow at 4:30 on Sunday night and the team that executes the best and is the most prepared is the team that's going to win." The following was shared with me by Mike Neighbors, assistant women's coach for Xavier --- ADVANTAGE X! This is the basic thought we instill in our players for every screening situation that could possibly occur during the course a game. If they have this thought in their mind they expect to be able to handle anything any offensive scheme may be trying to attack. Along with this thought, we provide them with terminology that we call our LANGUAGE. That terminology allows us to effectively communicate with our players and them to communicate with each other at game speed. With the language in place the responsibility of evaluating the personnel involved in the screening falls back to us as coaches so we can properly communicate our LANGUAGE to the players. This numbering system refers to what position the defensive player place themselves in relation to the screen and the ball… the player they are guarding is always 1 or First in our counting system.. If we coach our defender to go THIRD on a screen, that tells them they will go under the screen but over the top of her teammate who is guarding the screener. If we coach our defender to go FOURTH on a screen, this tells the ball defender that they will be going totally under the screen and her teammate guarding the screener. In a FOURTH situation, this also tells the defender guarding the screener that we are going to SQUEEZE THE SCREEN giving the on-ball defender extra space to sprint under the screening action. Thanks again to Joey Burton of Mississippi State for pointing me to this article by Jeff Howe of NESN.com on Bill Belichick and his work ethic. FOXBORO, Mass. 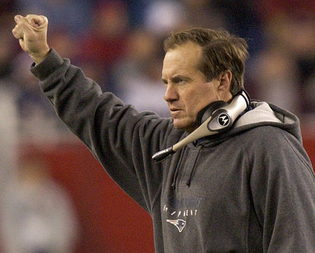 -- Players talk ad nauseum about Bill Belichick's work ethic. Some Patriots report to Gillette Stadium as early as 5:30 in the morning. Others will watch film at the facility until midnight or 1 a.m. Belichick, every one of them says, has been in the building at each end of that spectrum. They know there are nights when Belichick sleeps at Gillette, and some Patriots have wondered -- seriously, jokingly, whatever -- if he ever leaves. See, that's the thing about Belichick, who in the last decade has unquestionably become one of the greatest coaches to ever walk the sidelines. When everyone else is sleeping, or tweeting, or playing Madden, or lounging around, Belichick is studying the game, whether it's that week's opponent or one of his old playoff itineraries. He is always working to implement improvements for the good of his team's success, and he's always been willing to adjust something he thought he once screwed up. That's why his players follow him and fight for him. They believe in Belichick -- that he has put in the work that week to study every last detail to put them into position to maximize their ability. "You see his work ethic," Patriots captain Jerod Mayo says, "and if you try to match it, you might not make it a couple days. He's always working." Obviously, 14 wins aren't about the occasional day off, and so many times this season, Belichick has deferred all of the credit to the players. There's a lot of merit to that, too. Players win games on Sundays, while coaches get it done Monday through Saturday. Those six days, Belichick's players say, are the most captivating. They'll bring pens and pads to every meeting and write everything -- really, Deion Branch says, everything -- down and revisit it later. Even if they don’t understand what he's talking about, the BIC hits the Five Star, and they'll do the research at their earliest chance. "He's so good," safety Patrick Chung says of Belichick's meetings. "He just gets you prepared. It's hard to explain. You just learn. We learn. As far as being in there, you're going to learn, and you're going to learn fast. You're going to learn efficiently. He's a good coach. He gets you right." Belichick's players always wax poetic about his situational preparation, and that happens throughout each day, either in meetings, on the practice field or as he strolls through the locker room. What are you looking for on second-and-5? Who do they like to blitz on third-and-8? When do the Jets run behind Dustin Keller? What gap do you take in the Wildcat? Who has the corner's help when he's lined up on Reggie Wayne in the nickel? When is the quarterback most likely to use a hard count? "He's asking us questions about what's going on, who we're playing, making sure that we're well prepared," linebacker Rob Ninkovich says. "It's just the repetitiveness of hearing certain things that he talks about, maybe two minutes to go in the half, or the final minute of the game, maybe those are things that other teams don’t emphasize." "Real emotion is built up over time and its foundation is preparation." 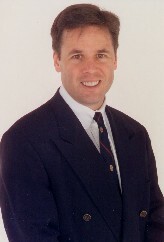 I have blogged often about Kevin Elko and his amazing powers of motivation. I first met Kevin when he talked to our team during our run fourth Final Four run. 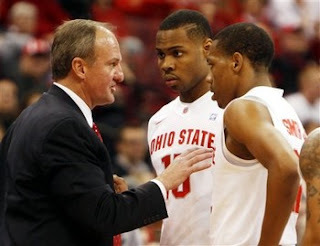 Due to circumstances, I was faced as serving as an interim head coach during the NCAA tournament that season. Not only did Kevin set an incredible tone in that talk to that team, but he called me daily the rest of the NCAA tournament to with a new exercise for our team -- it was amazing stuff! 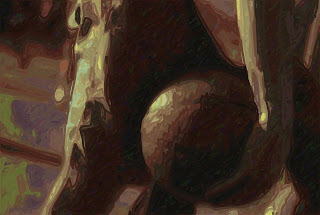 Check out: http://www.drelko.com/ and be sure to sign up for his free email newsletter. The answers to these questions will determine your success or failure. 1) Can people trust me to do what's right? 2) Am I committed to doing my best? 3) Do I care about other people and show it? If the answers to these questions are yes, there is no way you can fail. As you consider your goals for 2011 I want to suggest a C voyage to work on your character. No, you’re not too old and I don’t mean to imply you’re a bad person. Surely by now many of you have heard my mantra: You don’t have to be sick to get better. Besides, we all know it's a lot easier to make a good person better than to make a bad person good. Remember, the struggle to be a person of character takes place on the level of daily choices at home and at work. People of exceptional character stand out from the crowd because they develop the discernment and moral strength to know and do the right thing in circumstances that might overwhelm or confuse others. Here are the Seven C’s of Character: Conscience, Caring, Consideration, Confidence, Competence, Control, and Courage. 1st: Nurture and honor your personal Conscience. This is a precious internal moral compass that helps you maintain your integrity. 2nd: Show people you Care; demonstrate a genuine unselfish concern for the well-being of others, be empathetic, charitable, and above all, kind. 3rd: Be Considerate; think about the way your actions will affect others, and know that you are responsible for the consequences of all you say and do. 4th: Be Confident that you are good enough, valuable enough, and strong enough to withstand potential consequences of principled conduct, including the loss of money, jobs, and even friends. 5th: Develop moral Competence; learn to make and implement good decisions that are ethical and effective and get the best possible result out of every choice. 6th: Control your emotions; distinguish between what you want and what you need; beware of impulses and urges that can cause you to compromise ethical principles; don't settle for pleasure, go for happiness. 7th: Have the Courage to do the right thing even if it might cost more than you want to pay. Every one of these elements can be a challenge on any particular day. The point, and I hope your goal for 2011, is to self-consciously sail these Seven C's because CHARACTER COUNTS. 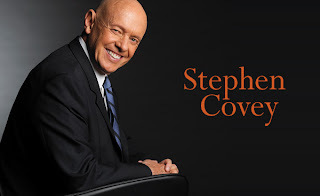 The following comes from Stephen Covey's book, "Principle-Centered Leadership:"
From study and observation and from my own strivings, I have isolated eight discernible characteristics of people who are principle-centered leaders. Principle-centered people are constantly educated by their experiences. They read, they seek training, they take classes, they listen to others, they learn through both their ears and their eyes. They are curious, always asking questions. They continually expand their competence, their ability to do things. They develop new skills, new interests. They discover that the more they know, the more they realize they don’t know; that as their circle of knowledge grows, so does its outside edge of ignorance. Most of this learning and growth energy is self-initiated and feeds upon itself. Those striving to be principle-centered see life as a mission, not as a career. Their nurturing sources have armed and prepared them for service. In effect, every morning they “yoke up” and put on the harness of service, thinking of others. The countenances of principle-centered people are cheerful, pleasant, happy, Their attitude is optimistic, positive, upbeat. Their spirit is enthusiastic, hopeful, believing. Principle-centered people don’t overreact to negative behaviors, criticism, or human weaknesses. They don’t feel built up when they discover the weaknesses of others. They are not naïve; they are aware of weakness. But they realize that behavior and potential are two different things. They believe in the unseen potential of all people. They feel grateful for their blessings and feel naturally to compassionately forgive and forget the offenses of others. They don’t carry grudges. They refuse to label other people, to stereotype, categorize, and prejudge. Truly, believing is seeing. We must, therefore, seek to believe in the unseen potential. This creates a climate for growth and opportunity. Self-centered people believe that the key lies in them, in their techniques, in doing “their thing” to others. This works only temporarily. If you believe it’s “in” them, not “in” you, you relax, accept, affirm, and let it happen. They read the best literature and magazine and keep up with current affairs and events. They are active socially, having many friends and a few confidants. They are active intellectually, having many interests. They read, watch, observe, and learn. Within the limits of age and health, they are active physically. They have a lot of fun. They enjoy themselves. Their actions and attitudes are proportionate to the situation—balanced, temperate, moderate, wise. For instance, they’re not workaholics, religious zealots, political fanatics, diet crashers, food bingers, pleasure addicts, or fasting martyrs. Principle-centered people savor life. Because their security comes from within instead of from without, they have no need to categorize and stereotype everything and everybody in life to give them a sense of certainty and predictability. Synergy is the state in which the whole is more than the sum of the parts. Principle-centered people are synergistic. They are change catalysts. They improve almost any situation they get into. They work as smart as they work hard. They are amazingly productive, but in new and creative ways. In team endeavors they build on their strengths and strive to complement their weaknesses with the strengths of others. Finally, they regularly exercise the four dimensions of the human personality: physical, mental, emotional, and spiritual. They participate in some kind of balanced, moderate, regular program of aerobic exercise, meaning cardiovascular exercise—using the large leg muscles and working the heart and lungs. This provides endurance—improving the capacity of the body and brain to use oxygen—along with many other physical and mental benefits. Also valuable are stretching exercises for flexibility and resistance exercises for strength and muscle tone. I’m convinced that if a person will spend one hour a day on these basic exercises, he or she will improve the quality, productivity, and satisfaction of every other hour of the day, including the depth and restfulness of sleep.